From April 1–15, book-lovers can borrow, read and discuss Abu Bakr al Rabeeah and Winnie Yeung’s heartbreaking yet hopeful Homes: A Refugee Story ebook from their public library with no waitlists or holds. 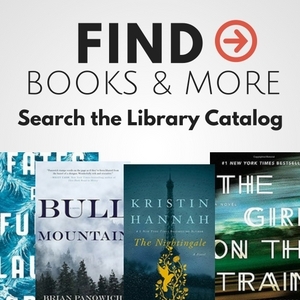 Woodward Public Library readers may join by visiting https://okvirtuallibrary.overdrive.com/media/3958648 or downloading the Libby app. More than 19,000 libraries around the world are participating. 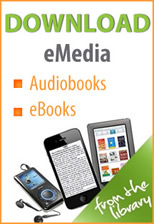 Big Library Read is available in more than 90 percent of public libraries in North America and facilitated by OverDrive, the leading platform for ebooks, audiobooks and magazines. Homes: A Refugee Story, a 2018 Governor General’s Literary Award finalist for nonfiction, was chosen by a popular vote of readers and librarians worldwide. Big Library Read is an international reading program that simultaneously connects millions of readers around the world with an ebook through public libraries. Homes: A Refugee Story is the 18th selection of this program which began in 2013 and takes place three times per year. Readers can join an online discussion about the book at https://discuss.biglibraryread.com/. The free program runs for two weeks and only requires a Woodward Public Library to get started. ebook club and this time around the winning title is The Girl with the Red Balloon by Katherine Locke. and enchanting Young Adult fantasy without wait lists or holds. Enter our contest for a chance to win cash prizes. The deadline to enter is on October 22nd & 23rd. Knit Wits Hosting A Special Group Lesson. Learn to crochet and embellish these beautiful baskets. and over. Deadline is Thursday, August 23, 2018. See PDF Flyer for details! Read and follow the rules! Fill out an entry form!